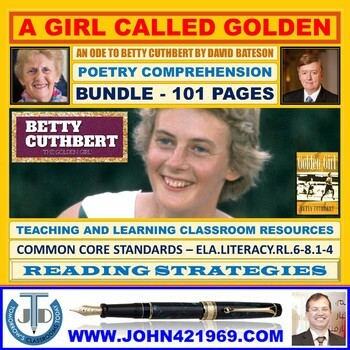 A bundle of 4 resources on poetry comprehension - A Girl Called Golden - An Ode by David Bateson. SKIMMING SCANNING READING BUNDLE: Good for higher level classes that run as more discovery learning. - Jamie B.